Simple changes to your daily routine can be life changing. Let’s help you learn how today! “I came to see Jessica because of lingering pelvic floor tension and pain after the delivery of my first baby. 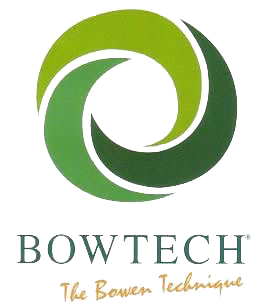 After two sessions with a combination of Restorative Exercise, Yoga Tune Up Therapy and Bowenwork, I began to see marked improvement in my body!” A.E. Am I in pain and frustrated that I’m not getting better? Do activities such as sitting, standing, moving and exercising create more pain? Have I become dependant on my health care practitioners, such as my chiropractor and massage therapist for symptom relief? Do I want tools so I can fix myself? Do I want to learn how I can stay healthy and fit without compromising the health of my spine and joints? If you answered “YES” to any of these questions, well then I can help you! Restorative Exercise™ (also knows as Nutritional Movement) and the Roll Model Method (or Yoga Tune-up) literally saved my spine and hip. About five years ago, I was experiencing low back and hip pain that were not getting better. Everything hurt from picking up my daughter to laying on my bed. I tried everything from chiropractic, Bowen, yoga, massage, meditation to praying to God to help me!. Literally, it just kept getting worse and worse. As many of us do when we are desperate, I started researching. 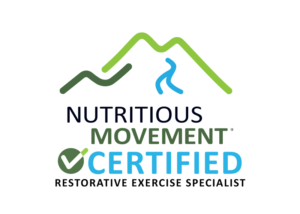 I found the Restorative Exercise Institute (now the Nutritious Movement Center) online and knew immediately I found something special (thank you Google Gods). Within days of incorporating the corrective exercises and making changes in the way I stand and move, I was experiencing less pain. Within weeks I was out of pain and could comfortably pick up my daughter. The education I received taught me that I WAS THE ROOT OF MY OWN BACK PROBLEMS and how to FIX ME. I was so transformed and inspirited by my experience that I decided to become a Restorative Exercise Specialist. I actually believe my back pain was the teacher that acted as a catalyst for me to find this work. Just another reminder that pain offers us a chance to grow. One of the biggest light bulbs that I see go off in people is the same “Ah ha” I had; that we are a bit blind to how much modern living affects our wellbeing. A lot of the things that cause our issues are actually a function of HOW WE LIVE. And we can do something about it. Nothing like having the power to transform your own body. Let me help you fix your body. When you work with me I will teach you specific corrective exercises to start opening those areas of immobility and tension. We use exercises, stretches and the myofascial self massage balls to get into those tight sticky spots. I’ll show you how to stand, squat and walk to make your movement more nutritious. In addition, Ill teach you ways to create better daily habits that affect the overall loads and forces on the body. Take THAT back pain! 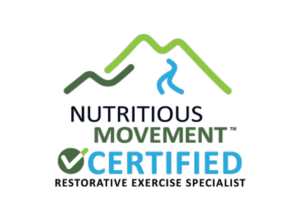 Restorative Exercise® is based on human biomechanics and utilizes a 25 point alignment system that was developed by Katy Bowman, MS of the Nutritious Movement Center in Sequim, Washington. Biomechanics, a marriage of physics and mathematics applied to human movement and the anatomy and physiology of the body. It has not historically been a heavily studied field, except in sports (think golf). Thankfully, Katy has been able to bridge a gap on connecting how our health on a cellular level is affected by everyday human movement. 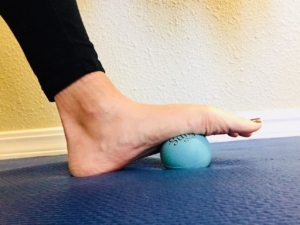 The Roll Model Method®-(Yoga Tune up)-A Self Massage Method using grippy squishy balls that get into those tight adhesions and trigger points to increase mobility, lengthening of tissue, and provide pain relief. Results are often immediate!